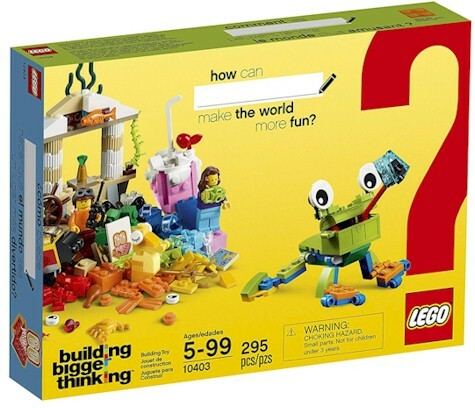 Amazon has got this LEGO Classic World Fun Building Kit (295 pieces; #10403) for $12.99 with free Prime shipping, the lowest recorded Amazon price on this set. 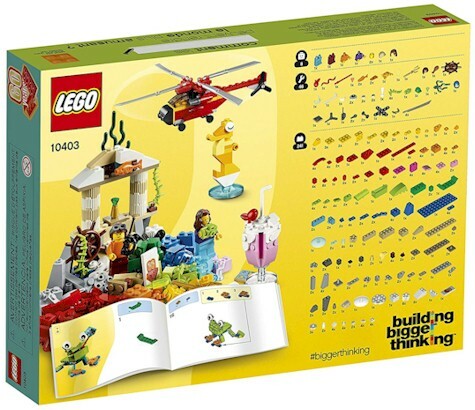 This highly-rated set got 4.9 out of 5 stars over 29 customer reviews. No quantity limits. Though I've said this many times on Daily Cheapskate, I think it's worth saying again. On a personal note, I consider my subscription to Consumer Reports as a smart investment in making good choices. The money that I spend on the subscription has probably saved me hundreds (thousands?) in NOT buying poor quality items that have large marketing budgets. We used Consumer Reports to research our kitchen appliances, our back yard furnishings, our computer peripherals, our iPads, our phones; it even helped us decide what brand of paint to use when we repainted. We've used Consumer Reports for pretty much every important purchase we've made in recent years. 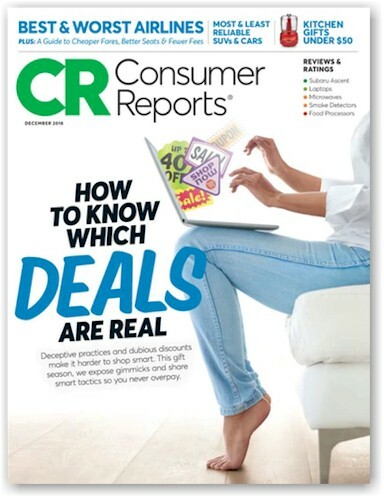 AND, while it's not mentioned on DiscountMags as part of the deal, each year that we've subscribed to Consumer Reports through DiscountMags, we've received the Consumer Reports Buying Guide for FREE, which is an incredible tool for avoiding lemon purchases. 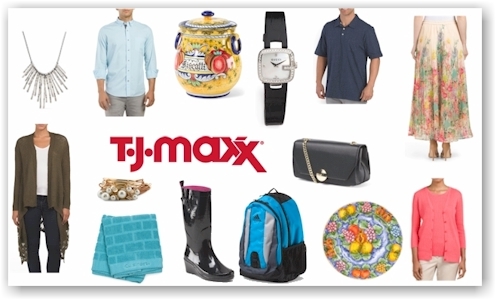 Today, 1/23/18 only, get FREE shipping with no minimum purchase, sitewide at T.J. Maxx. Includes clearance! 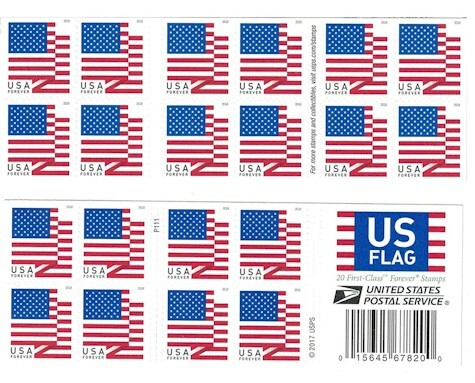 AMAZON LIGHTNING DEAL: USPS Forever Stamps for 43 cents! Amazon is running a terrific Lightning deal on Forever Stamps, currently going for 50 cents each at the post office, going up to 55 cents each on 1/27/19. Forever Stamps never expire. Hurry, this Lightning Deal is going fast! 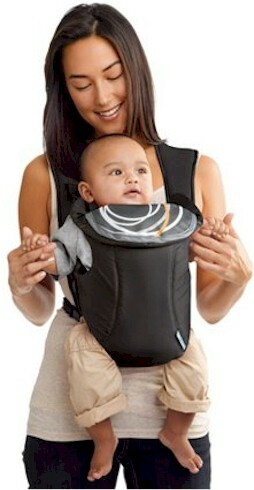 Amazon has got this Evenflo Soft Infant Carrier for $12.99 with free Prime shipping. It got a perfect 5.0 out of 5 stars over 18 customer reviews. 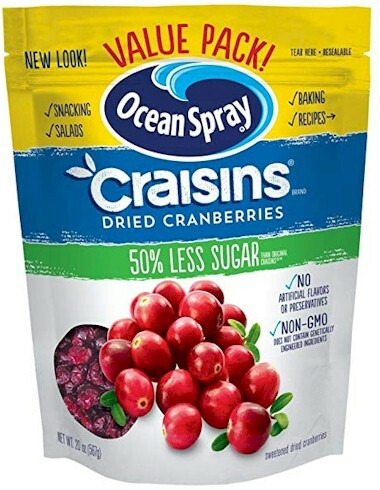 It's also available on Walmart (4.3 out of 5 stars over 112 reviews) and Jet.com (4.3 out of 5 stars over 85 reviews) for the same price. 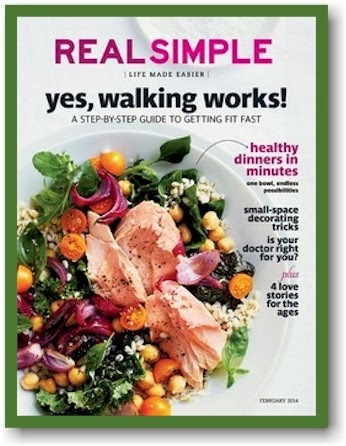 These subscriptions do auto-renew, but no worries, here's what you do to fix that: right after you subscribe, under your Amazon account, click on the Manage Magazine Subscriptions link, find the magazines to which you subscribed and deselect the auto-renewal option. Voila, no more auto-renewal! 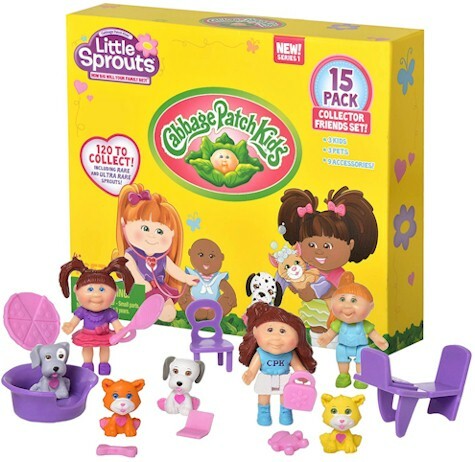 Amazon has got this 15-pack Cabbage Patch Kids Little Sprouts Collector Friends for $3.82, the lowest recorded Amazon price on this set. Limit 3 per account. Please note that according to the reviews, these dolls are very tiny. Great starter set for any new small doll collector! Amazon has got this Yimby Tumbler Composter for $67.82 - $1.67 coupon = $66.15 with free Prime shipping. 4.0 out of 5 stars over 2,142 customer reviews. This is one of the lowest prices I've ever seen on a tumbler composter. 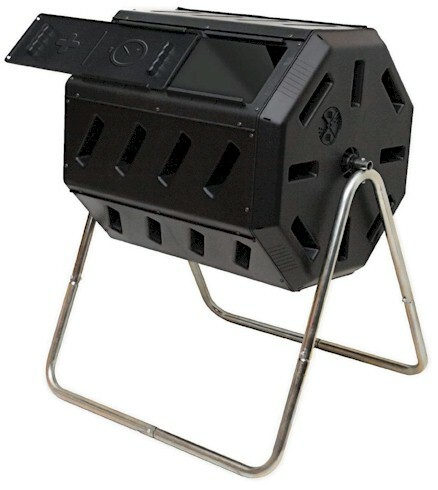 The original 8 sided dual chamber tumbling composter. Beware imitations. Tumbling composter – avoid digging and mixing your compost pile by hand. The tumbling design makes mixing easy and efficient. Just close the door and turn it 5-6 times every 2-3 days. In hot sunny conditions and with a proper balance of ingredients the compost can finish in as little as 2 weeks. Easy to use – fantastic for beginners! the large openings and removable door make it easy to add Scraps/clippings and remove finished compost. Deep fins on the body provide great ergonomic handholds. Excellent aeration – all our composter models feature aeration holes as well as deep fins to break up clumps inside the chamber and mix lots of oxygen into the compost. Tumbling composters allow FAR greater aeration than standard models. Durable construction – BPA free UV inhibited recycled polypropylene is contact safe and will not degrade under direct sunlight. 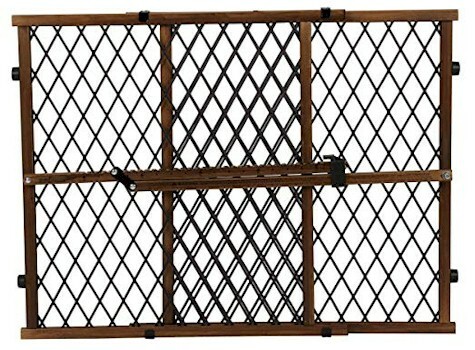 The galvanized Steel frame is corrosion resistant. 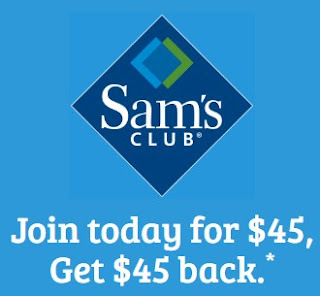 Get a Sam's Club membership for $45.00 and then get $45.00 back on your first Sam's Club purchase made within 30 days of joining, effectively getting your $45.00 membership for free . Offer expires 2/28/19, but this offer is limited and may be terminated or changed at any time. You need to enroll a credit card in auto-renew for your annual membership charge in order to qualify for this offer, but once you have received your $45.00 in free items, you can turn off auto-renew. I've read the rules, but I'm not completely clear on whether this is limited to new members only or if existing members can start a new membership, so if you're an existing member, it's worth a try. Just remember that you must make your first purchase within 30 days of activating membership to get the $45 credt. The $45 incentive will be automatically deducted through Instant Savings at checkout when you purchase at least $45 in eligible products. 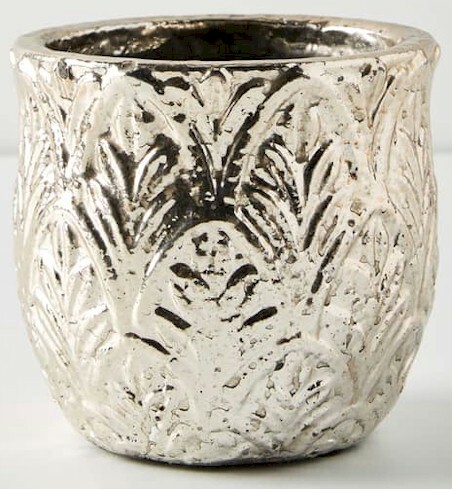 Should you need to return any of the items purchased on this basket, the prorated discount will be factored into the return value on any eligible products. Eligible products are regularly priced items sold in-club or online at and by SamsClub.com. Ineligible products are any items already discounted by Instant Savings, as well as alcohol, tobacco, Sam’s Club membership fees, gift cards, milk, pharmacy prescriptions, eCigarettes, fuel, postage stamps, lottery tickets, auctions, Photo Center, service plans, or taxes. To qualify for this offer, you must enroll in auto renewal for your annual membership fees. A valid email address is required for enrollment in the Auto Renew Program. Members may update information online or by calling 1-888-746-7726. Planning an IKEA run soon? Print this $25 off $150 purchase in-store IKEA coupon here, good only on 1/19/19-1/20/19 only. Amazon has got a nice Subscribe & Save deal on a 12-count pack of Farmer's Market 15 oz. 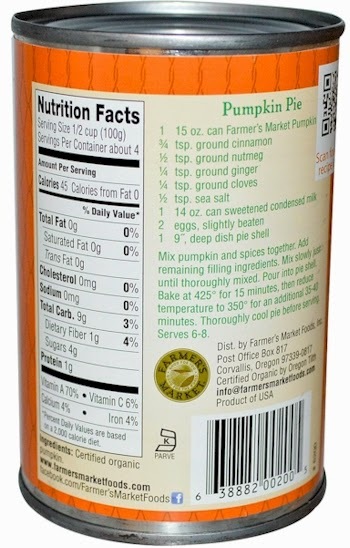 cans of pure organic pumpkin, as low as $1.64 per can. That's less expensive than most non-organic pumpkin equivalents. 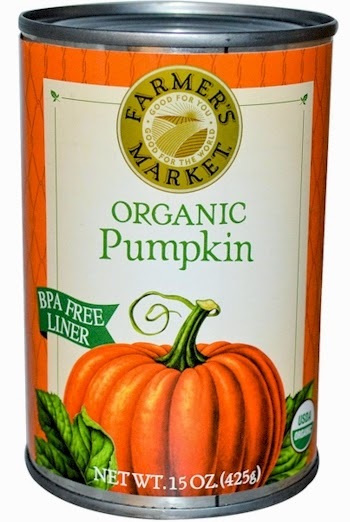 FYI, Farmer's Market pumpkin is organic and kosher pareve under Kof-K supervision. 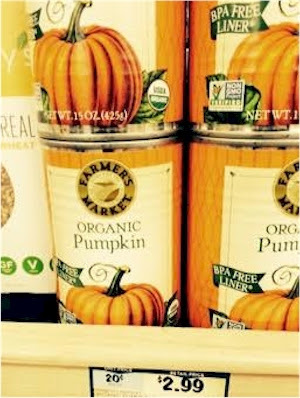 I've seen these cans of organic pumpkin go for as much as $3.00 each at Sprouts and Whole Foods (see below). Expecting a baby? B'sha'ah tovah! Here are the three BEST baby registries to sign up for. With each sign-up, you get tons of baby samples, discounts and more. If you're not comfortable sharing your good news with the world just yet (or even if you never want to make your registry public), each of these stores gives you the ability to keep the online baby registry confidential until you're ready to go public. FREE Welcome Box: A surprise box of items for parents and baby valued up to $35. To receive the Welcome Box you must 1) be a Prime member 2) purchase a minimum of $10.00 from your registry (any item on Amazon can be added to the registry, not just specifically baby items) and 3) create a "registry checklist." Universal Registry: Add any item from any site to your Amazon Registry using Universal Registry. Completion Discount: Prime members save 15% on eligible items when you complete your registry. (To join Prime, click here.) Non-Prime members receive a 10% completion discount. Free 90-Day Returns: You have a full 90 days to return most items purchased from your registry. Group Gifting: Allow multiple people to contribute towards bigger gifts by enabling group gifting. FREE Welcome Box: Get a free box of baby samples from Walmart here (you actually don't even need to sign up for the registry). 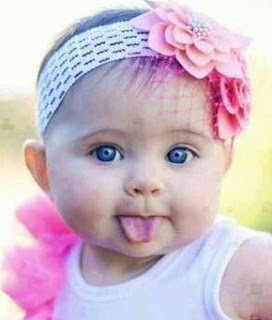 Go to the Walmart Baby Registry page and click on the box that says "Baby Welcome Box; Delightful surprises for you and your baby." Price Match Guarantee: If a local competitor has a lower advertised price, you get an eGift card for the difference. Free and easy returns: by mail or in-store. FREE welcome kit: Pick up your gift in-store at Guest Services for over $100 worth of coupons & handpicked samples. 15% discount: on everything left in your registry 8 weeks before your baby is due. Easy returns and exchanges: up to a year after your due date. Get this 52 oz. 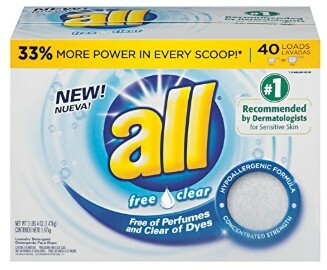 All Powder Free & Clear Laundry Detergent, for Sensitive Skin for as low as $3.98 with Subscribe & Save discounts on Amazon.